Egypt’s January 25 Revolution of 2011 was a dramatic demonstration of the role social media has come to play in radical activism. A key moment was the appearance of the Facebook page “We Are All Khaled Said,” which linked activists across the country. But how useful are social media in radical politics? And how readily can they be turned against the activists? Revolution in the Age of Social Media looks at the role of that seminal Facebook page and the conspiracy theories that swirled around its administrator, Wael Ghonim. 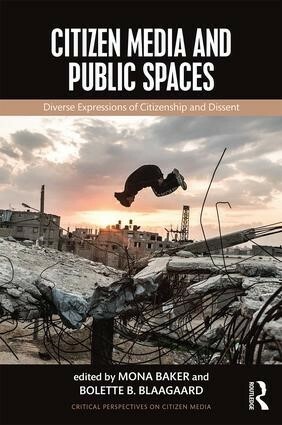 Herrera reveals the immense power struggles that took place in virtual arenas, showing how social media can serve not only as a site of liberation, but also as a place where powerful forces—such the US State Department, the Muslim Brotherhood, and the Egyptian military—vie for control over the hearts and minds of the young. 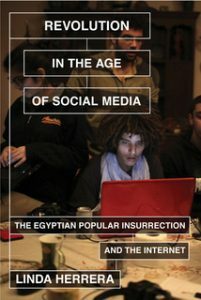 The Egyptian uprising, while in many ways a distinctly Arab event, is also a universal story of power and insurrection in the age of social media.